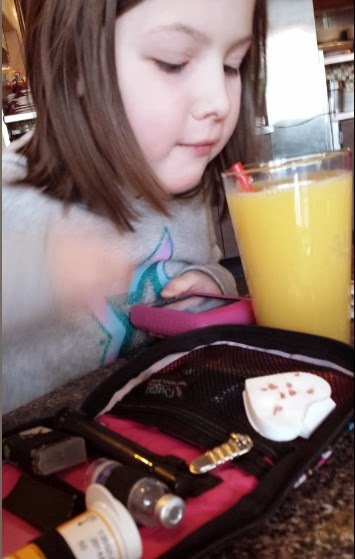 My Sweet Bean and Her Pod: A Little Diabetic Dab Will Do Ya! A Little Diabetic Dab Will Do Ya! No, I'm talking about Brylcreem...though if you got the reference, good on ya! I'm talking about Diabetic Dabs, a cool new-to-me product that I was asked to test out and offered to write about. I'm always up to try out products that I think Bean will like, and when they are developed by other T1D Moms, I'm super excited to see them! Plus they make a donation to the American Diabetes Association, so double point in my book. "Diabetic Dabs are a disposable, inexpensive, convenient breakthrough for blood glucose testing. Diabetic Dabs are nontoxic, highly absorbent sheets that are designed to fit conveniently in any blood glucose testing kit." Bean has used a piece of paper towel in her kit for such a purpose in the past, and although effective enough, it was kinda nasty. 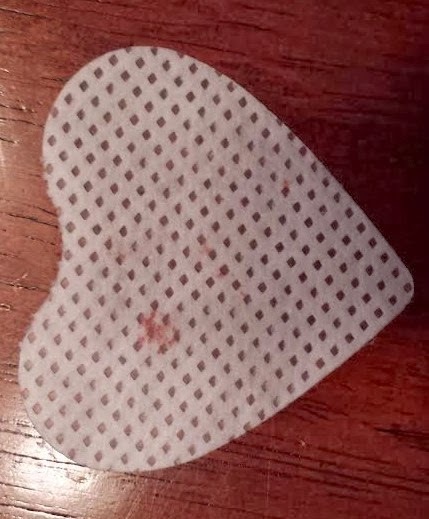 The Dabs are way better for her...and they are in the shape of a heart, so my girly girl loves that! Yes, they also come in a square shape, and she thought those were awesome, too, but they were quickly ranked #2 when the heart shaped ones arrived!! We chose to take out her extra FreeStyle meter to help with the space issue, but it wasn't totally needed because the Dabs are squishy enough to compensate for that. Now, as you can see, she doesn't dab and toss...that's a bit of an out of this world expectation for her since she doesn't throw away her strips after each test either, hence the bio flip from Stick Me Designs. Bean prefers to use one Dab for the day, and then I toss it at bed time. Because they are so absorbent, it generally only goes through to the very next Dab, so I don't feel like she's having to toss several each day. It works for her and it keeps the extra blood from ending up wiped on her pants or on her kit! They come stacked together kinda like post it notes and have an adhesive backing so that the stack stays put in your kit while you whittle away at the 50 dabs in each pack. You get a four pack of 50 sheets for $9.49 US, including shipping, which makes them 21 cents a sheet. Pretty reasonable, if you ask me! Would I recommend them...YES, YES, YES! Bean loves the convenience, and I do, too. I've taken a Dab in with me to do the wee hours BG check so I don't wipe the blood on my PJs. And, lucky for you, I have some to give away! So that I can spread the love to as many of you as possible, I'm going to break up the two four packs they sent me to give away. That means that 8 lucky readers get a stack of 50 Dabs to try out for FREE!! Oh, and I have a heart one that I'll give away, too, so that makes NINE LUCKY DAB GETTERS!! Since it's been quiet around the ol blog lately, I think I'll make it sweet and simple and let the first nine commenters win! If more than one of you wants the heart ones, I'll do a random draw for those. Yes, Diabetic Dabs sent me Dabs to try free of charge. No, they didn't ask me to rant and rave about their product, and if I didn't like them, I'd have told you. Yes, I plan to order some and pay real money for them in the very near future! Ooh! We'd love to try these! Ally has a nasty napkin in her BG kit too. Have received two FB comments that the comments on the blog are acting up. So, just for the record, there are two others who will also be getting Dabs. Ella either wipes the blood on her shirt or licks it off...so, yeah, would love to give these a try! I am trying to get over my licking habit. I would love to try these! I would love to try these and the heart shape is so cute! My!! daughter ususally just wipes it on her other fingers so not very sanitary. Darn, looks like I'm #10, but wanted to say thanks for posting about these anyway. 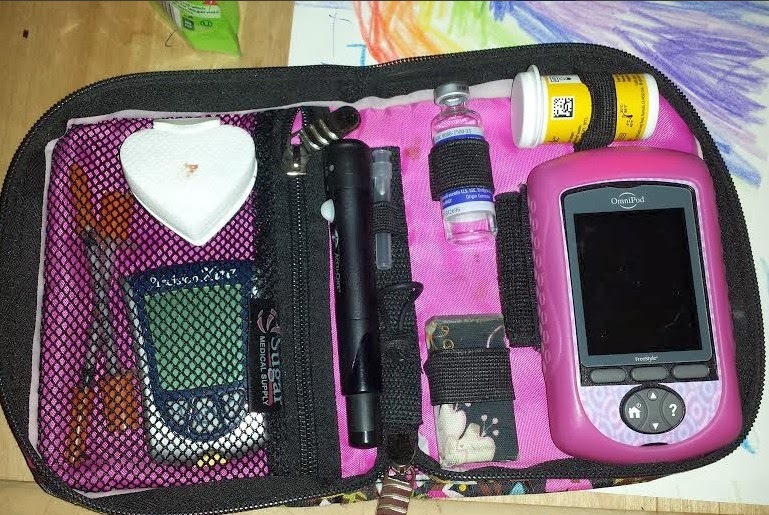 My DD wipes the blood inside her meter case which grosses me out. I think I'll order some of these for her since we just got a new meter and case-- maybe this one will stay clean! I'm sorry I missed the contest but I'm happy I saw the post! I just ordered a box. Maeg'll be so excited when they get here!